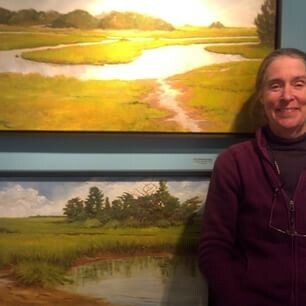 For over twenty-five years my main focus has been plein-aire painting of the coastal wetlands of United States from Maine to Florida and west to the California coast. 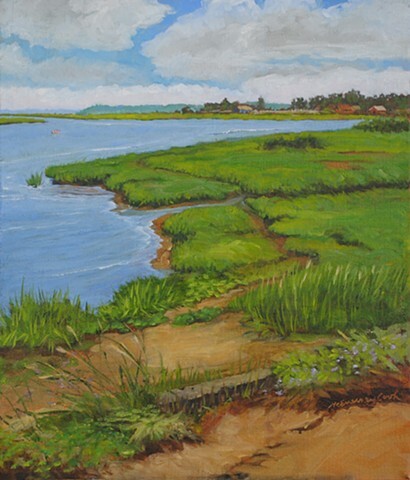 This series is about presenting the fragile ribbon of green that hugs both the Atlantic and Pacific Coasts. It is nestled just behind the protection of the barrier islands and within the tidal estuaries. In some places just a pocket marsh remains; in others the ribbon is miles wide. 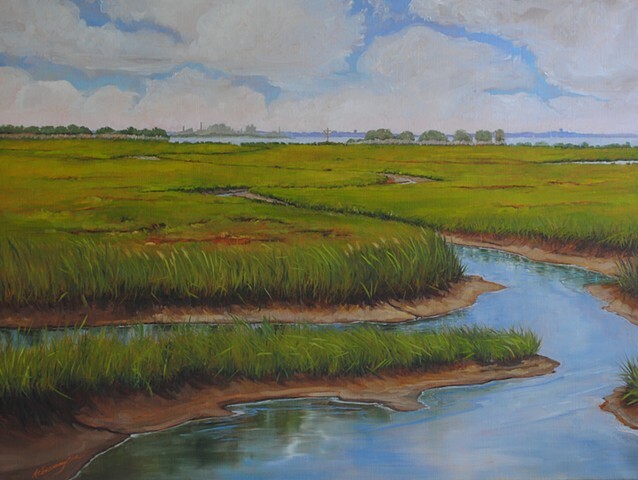 This landscape, the tidal wetlands, is where, the scientist and writer, Rachel Carson described “the drama of life played its first scene on earth and perhaps even its prelude, where the forces of evolution are at work today, as they were since the appearance of what we know as life.” The coastal marshes are truly nature’s nursery, the birthplace for innumerable species including our own. 90 Group Exhibits including New Jersey State Museum, Pennsylvania Academy of the Fine Arts, Noyes Museum, Woodmere Museum, The Masur Museum of Art, The Philadelphia Sketch Club, Barrier Islands Center and Museum, Long Beach Island Foundation for Arts and Science, The Gallery of American Crafts, , Delaware Center for Contemporary Arts, Farnsworth Art Museum, and Huntsville Museum of Art.